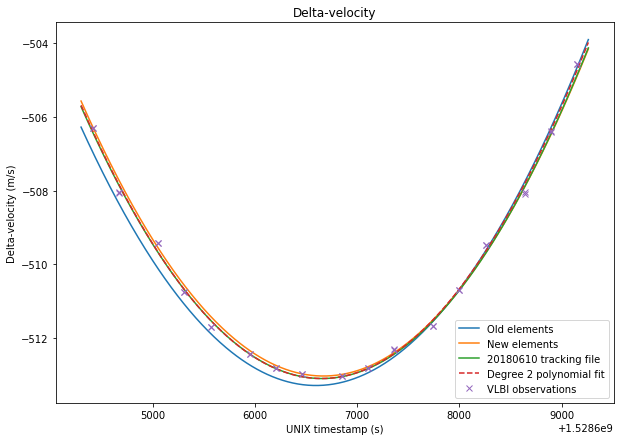 In March this year I spoke about the Amateur VLBI with LilacSat-2 experiment. This experiment consisted of a GPS-synchronized recording of LilacSat-2 at groundstations in Harbin and Chongqing, China, which are 2500km apart. 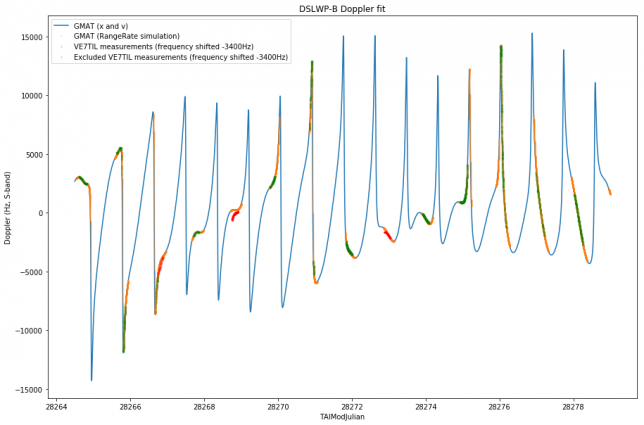 The experiment was a preparation for the Amateur VLBI project with the DSLWP lunar orbiting satellites, and I contributed with some signal processing techniques for VLBI. 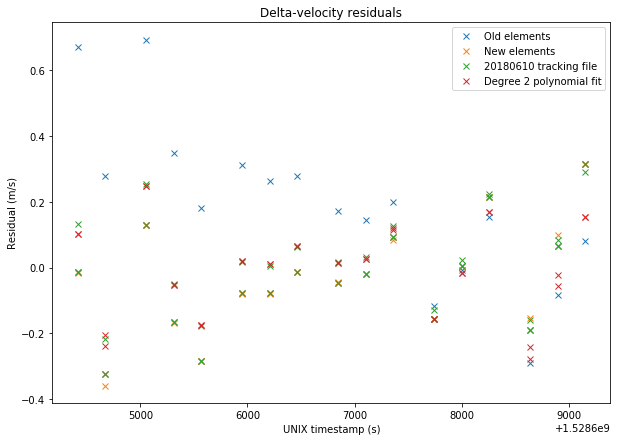 As you may know, the DSLWP-B satellite is now orbiting the Moon since May 25 and the first Amateur VLBI session was performed last Sunday. 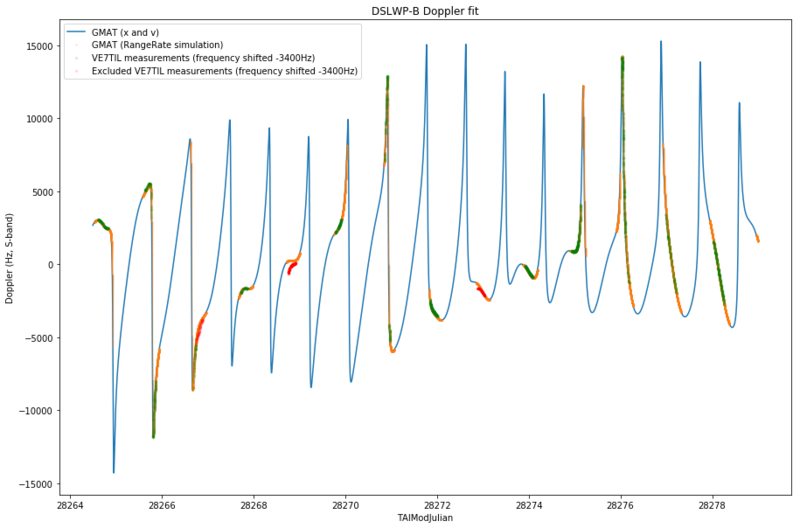 The groundstations at Shahe in Beijing, China, and Dwingeloo in the Netherlands performed a GPS-synchronized recording of the 70cm signals from DSLWP-B from 04:20 to 5:40 UTC on 2018-06-10. 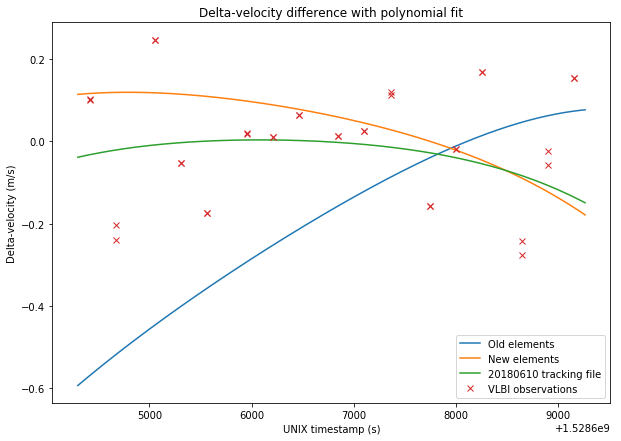 I have adapted my VLBI correlation algorithms and processed these recordings. Here are my first results. A week ago, Mike Rupprecht DK3WN told me that he had discovered JPEG images in the packets transmitted by 1KUNS-PF. I’ve had some time now to take a look at the information he sent me (including KISS dumps of the packets) and add an image decoder to gr-satellites. JPEG images are not so difficult to spot amongst binary data, since they contain JFIF in ASCII in their header (4a 46 49 46 in hex). Another telltale sign of JPEG is the ff d8 ff that marks the start of the file. Presumably this is how Mike first noticed the images. Mike has published some information about the image packets transmitted by 1KUNS-PF and he has been posting some of the images he receives. Below there is the hex dump of the first and second packet CSP packet of a JPEG image (note the JFIF and ff d8 ff inside the packet payload). It seems that all the image packets are 138 bytes long. The first four bytes are the CSP header. Then we have 16bit big-endian field which counts the number of chunk, starting by 00. The last four bytes of the packet are most likely a checksum, and the remaining bytes are the corresponding chunk of the JPEG file. The ff d9 that occurs mid-packet is the end-of-file of the JPEG file. I don’t know what to make of the rest of the data following it. Since not all of it is zero, it doesn’t look as deliberate padding. It might be the case that the satellite is sending information left over in a buffer. 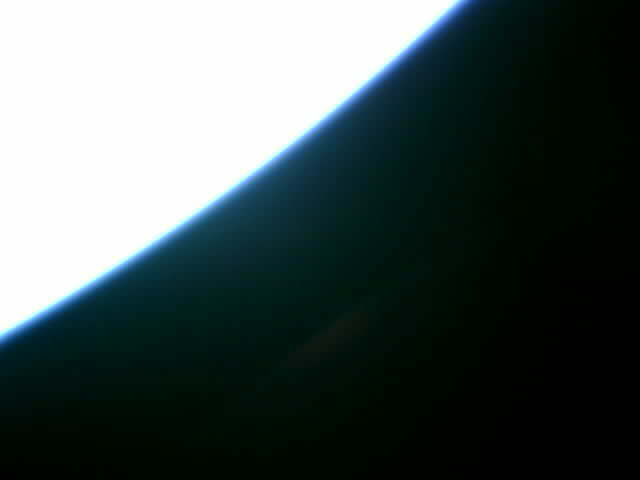 The image below is the whole JPEG file contained in the packets received by Mike. It was sent using 72 chunks, for a total of 9216 bytes (at 128 bytes per chunk) and its resolution is 640×480. Most of the other images sent by 1KUNS-PF are smaller.